Treating hair loss can be a difficult task. This article will help you pinpoint the type of hair loss you have. Then give you tips to help you seek treatment. You feel you have loss enough hair that your hair looks see through. It no longer looks as full as it did a few months ago. Understand that shedding 50 to 150 strands daily is a normal part of the hair life cycle. A shed hair will be the same length as the rest of your hair. Generally you can see the white bulb on the end of your shed hair. This white bulb ensures you that it has shed from under the scalp. If the hairs are shorter than the rest of your hair and have no white bulb that is hair which has broken above the scalp. 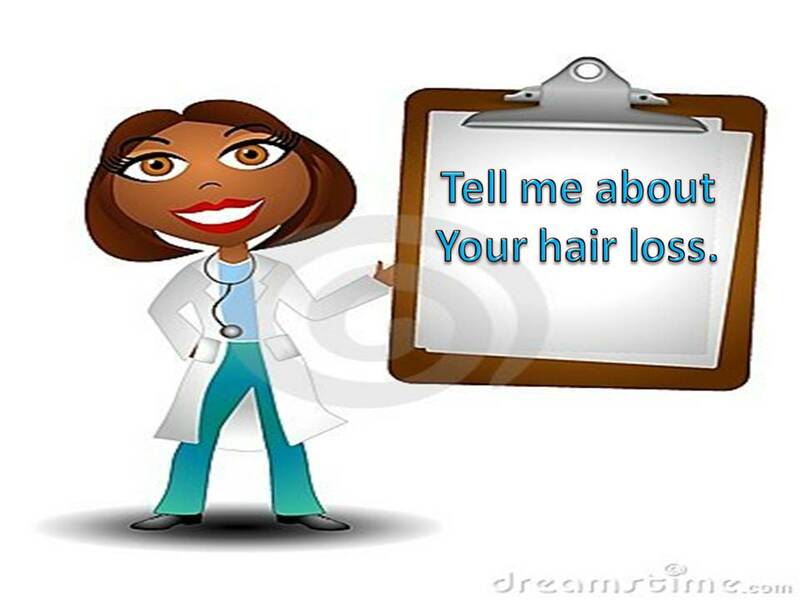 It is normal to lose 50 to 150 strands a day. Shedding is a normal part of the hair cycle. It is abnormal for your hair to shed in clumps, on a consistent basis for several weeks. If this is happening to you. Collect all your shed hair daily, date it and put it in a plastic bag. Compare it each week. This will give you a good ideal as to how much hair you are truly losing, so you can better communicate with your doctor. Also make note as to any other symptoms you are having at the time. Make note if you are on your menstrual cycle during the excessive shedding time. Never mistake accumulated shed hair for abnormal shedding. There are certain styles in which we do not untangle our hair for days. When you have not untangled your hair for several days, your shed hair will accumulate. When you do untangle your hair, the shedding will appear excessive. Do not be alarmed this is accumulative shedding. Now decide whether your hair loss is from normal shedding or abnormal shedding. You have clean areas on your scalp. The baldness has been there for six months or more. Does the bald spot ever fill in? Or does it stay clean? Get someone to look at the area with a magnifying glass. Do they see open hair follicles or a smooth scalp? Your ends look raggedy and sparse. You can feel your hair snapping when you manipulate it. You find lots of hairs varying in length in the sink, your combs or shoulders. Your hair does not retain length. It has been the same length for 6 months. If your hair is shedding from the roots in clumps and has done so for more than 2 weeks, then see a doctor as soon as possible. There are many reasons your hair can shed from the roots excessively. Unless you know the inner reason for your shedding you should see a doctor as soon as possible. It can be a vitamin deficiency or a serious health conditioning causing this. If no hair will grow in your bald area and it has been longer than a month, it is also time to see a doctor. When you treat hair loss quickly you have a greater chance of restoring your hair. 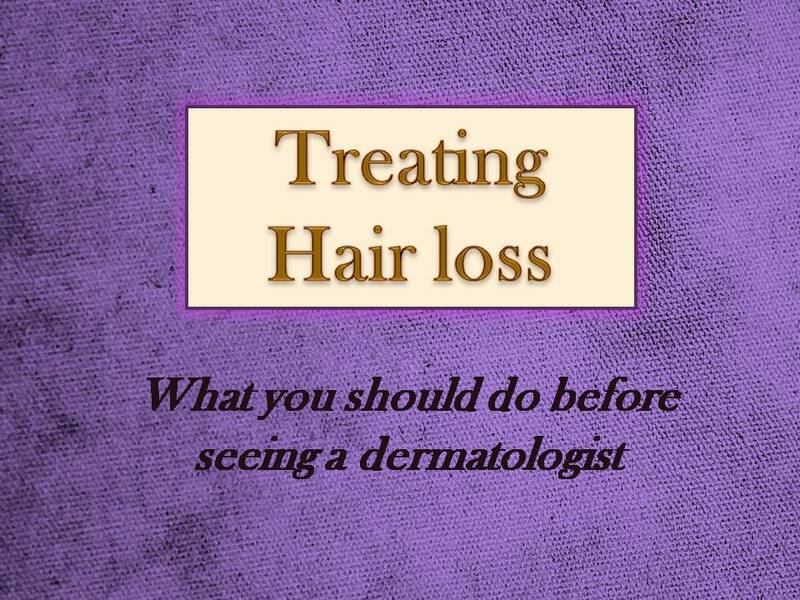 The longer you wait to seek medical treatment the harder it will be to reverse your hair loss or slow the progression. Correct dehydration by improving your hair conditioning regimen. Avoid heat styling tools, combs, brushes or any tools which pull on the hair. Increase the strength of your hair strands by doing a good protein treatment. Get the most from your dermatologist visit. These visits can be costly, so it is best to be prepared before your office visit. Make a list of all your symptoms to share with the doctor. Writing it down will help you not forget to share it with the doctor. If you are paying out of pocket, ask the doctor for a cash discount. Ask for a scalp biopsy on your first visit. Ask to be checked for vitamin deficiencies.